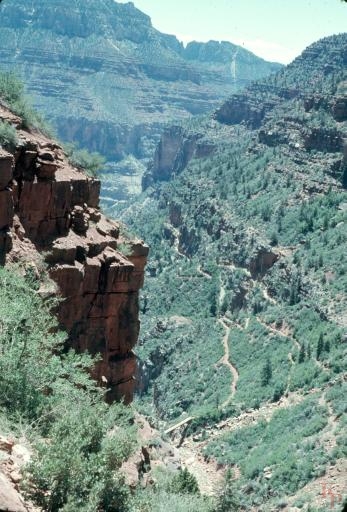 North Kaibab Trail, Top. 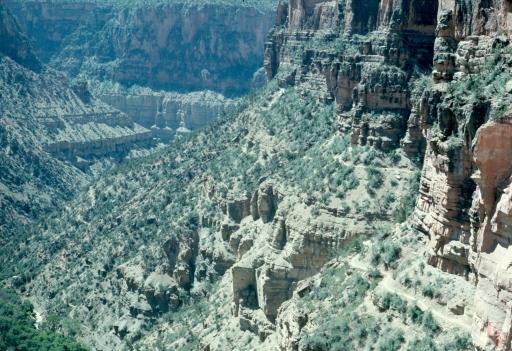 The trail starts in the Roaring Springs side canyon. Unlike the South Kaibab, you start in the Pines. Not that there is much water, but there is a bridge. It does save some down and up at the crossing. 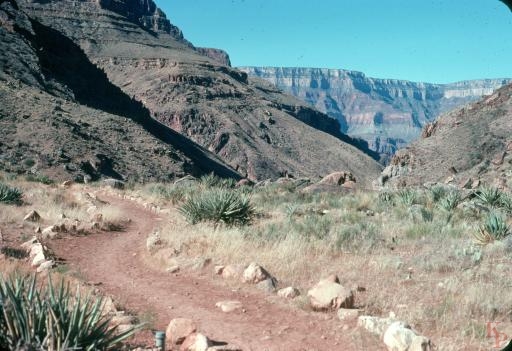 The trail continues down the narrow side canyon across from Roaring Springs (the canyon water source). 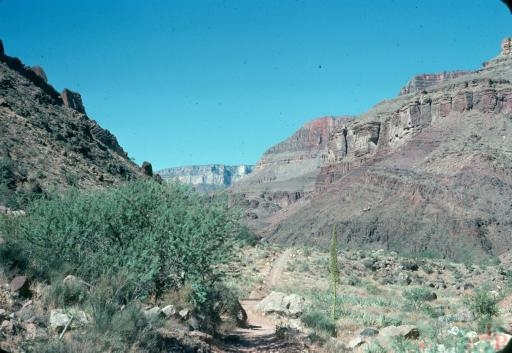 As soon as you reach Bright Angel Creek, the trail flattens out and becomes an easy walk. At this point is is a long way to anywhere. Cottonwood Camp has tent sites, water and a Ranger Station. 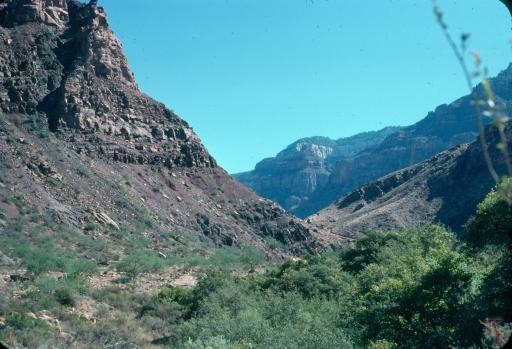 The lower trail slowly descends along the creek eventually ending at Phantom Ranch passing the short detour to Ribbon Ralls.